Hasan Pasha (c. 1517-1572) was the son of Hayreddin Barbarossa and three-times Beylerbey of the Regency of Algiers. His mother was a Morisca. He succeeded his father as ruler of Algiers, and replaced Barbarossa's deputy Hasan Agha who had been effectively holding the position of ruler of Algiers since 1533. Hasan Pasha became ruler of Algiers when his father was called to Istanbul in 1545. Barbarossa died peacefully in the Ottoman capital in 1546. In June 1545, Hasan Pasha occupied the city of Tlemcen, where he set a Turkish garrison, and put pro-Ottoman Sultan Muhammad on the throne. In 1548, he was replaced as Beylerbey of Algiers by the Ottoman Admiral Turgut Reis, who was nominated by Suleiman the Magnificent. Hasan Pasha again became ruler of Algiers, but he was recalled in 1552, on the reason that he was one of the causes of the conflict between the Turks and Morocco. He was replaced by Salah Rais, who nevertheless marched on Fez and occupied the city in early 1554, when the Moroccan ruler Mohammed ash-Sheikh rejected cooperation with the Ottomans. Hasan Pasha was again named beylerbey of Algiers in June 1557, in order to continue the fight against the Moroccan ruler, who had formed an alliance with the Spanish against the Ottomans. He had Mohammed ash-Sheikh assassinated in October 1557. 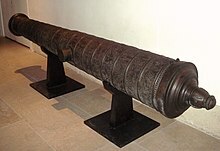 Ornate Ottoman cannon cast in Algiers on 8 October 1581, soon after the rule of Hasan Pasha, by founder Ca'fer el-Mu'allim. Length: 385 cm, cal:178 mm, weight: 2910 kg, stone projectile. Seized by France during the invasion of Algiers in 1830. Musée de l'Armée, Paris. Hasan Pasha invaded Morocco in early 1558, but he was stopped by the Moroccan north of Fez at the Battle of Wadi al-Laban, and had to retreat upon hearing of Spanish preparations for an offensive from Oran. He reembarked from the port of Qassasa in northern Morocco, and from there returned to Algiers to prepare a defense against the Spaniards. After the Ottoman victory in the Expedition of Mostaganem (1558), Hasan Pasha was recalled again to Istanbul, apparently because of conflicts with his troops. He again became Beylerbey of Algiers in 1562, and led the unsuccessful Sieges of Oran and Mers El Kébir in 1563. He 1567, he was recalled to Istanbul, and named, like his father before him, Kapudan pasha, or Commander-in-Chief, of the Ottoman Navy. Hasan Pashan was at the Battle of Lepanto in 1571. He died in Istanbul in 1572. ^ Houtsma, M. Th. (1993). E.J. Brill's First Encyclopaedia of Islam, 1913-1936. E. J. Brill. p. 873. ISBN 90-04-09796-1. ^ a b c Konstam, Angus (19 August 2008). Piracy: The complete history. Osprey Publishing. p. 85ff. ISBN 978-1-84603-240-0. ^ Abun-Nasr, Jamil M. (28 August 1997). A History of the Maghrib in the Islamic Period. Cambridge University Press. p. 155ff. ISBN 978-0-521-33767-0. ^ a b c d e f g Abun-Nasr, Jamil M. (28 August 1997). A History of the Maghrib in the Islamic Period. Cambridge University Press. p. 157ff. ISBN 978-0-521-33767-0. ^ Konstam, Angus (19 February 2003). Lepanto 1571: The greatest naval battle of the Renaissance. Osprey Publishing. ISBN 978-1-84176-409-2. This page was last edited on 18 December 2018, at 06:32 (UTC).